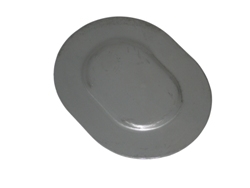 TM001 Exterior Mirror for all 1964-1965. 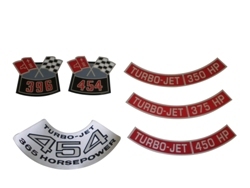 With bowtie and mounting kit, Each. 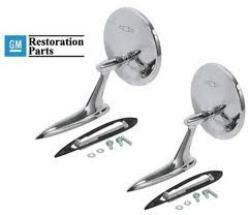 KM401 Exterior Mirror kit for all 1964-1965. pair. TM006 Exterior Mirror mounting kit for all 1964-1965. each. 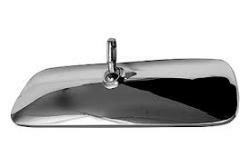 TM002 Exterior Mirror for all 1966-1968. 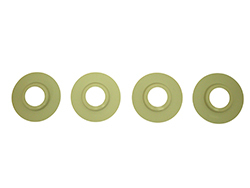 Without bowtie, With mounting kit, Each. 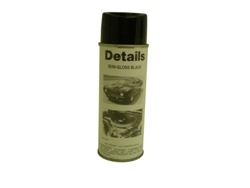 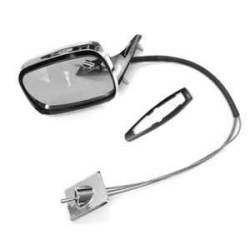 KM402 Exterior Mirror kit for all 1966-1968 with bowtie, pair. 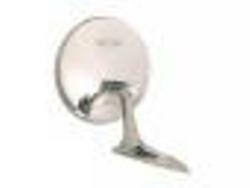 KM404 Exterior Mirror kit for all 1966-1968 reproduction, plain pair. 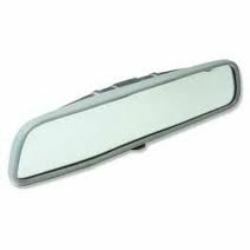 TM003 Exterior Mirror for all 1966-1968. 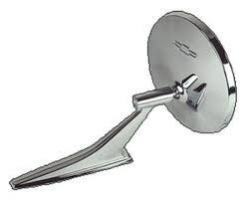 With bowtie, With mounting kit, Each. 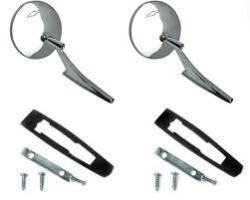 TM007 Exterior Mirror mounting kit for all 1966-1972. each.